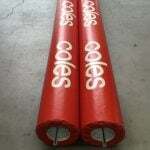 Steel AFL goals are also available in all sizes. We promote aluminium AFL goal posts for their unique characteristics. Player shelters are available in various sizes and options. Manufactured from high quality aluminium, the shelters are finished with a durable transparent Lexan polymer, and with your choice of timber, or long life aluminium seats. 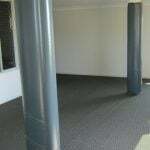 Post Pads available, different colours, custom graphics. PPAFL Set Flat pads to suit.